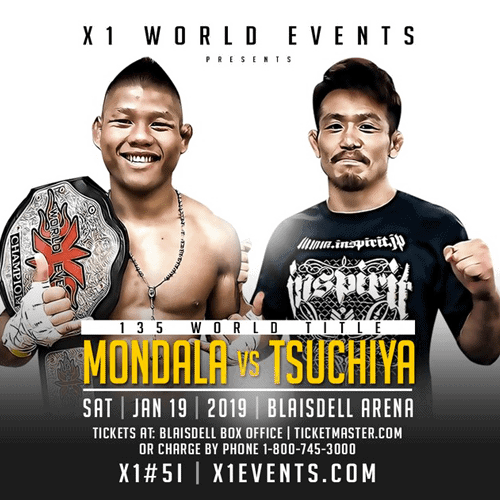 X1 World Events is Back in the Blaisdell Arena Saturday January 19 with “One to Remember” A stacked Fight Card of professional MMA fights featuring Fighters from Hawaii, Japan, and the Mainland. Get Ready as you will see multiple Titles on the Line to see who is the best in their class. 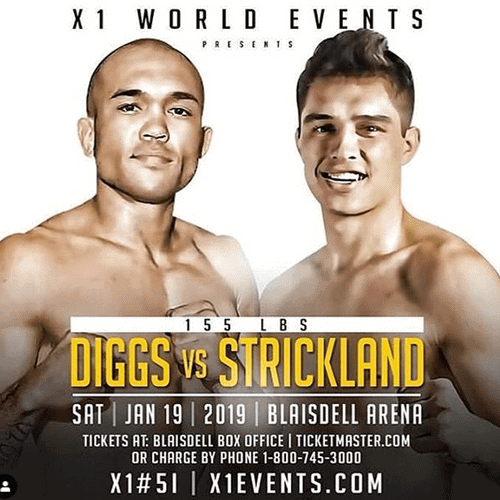 It’s going down on Jan.19th as X1 World Events brings you a X-1 #51 “One To Remember” to the Blaisdell Arena with an action packed night of fights planned that everybody can enjoy! 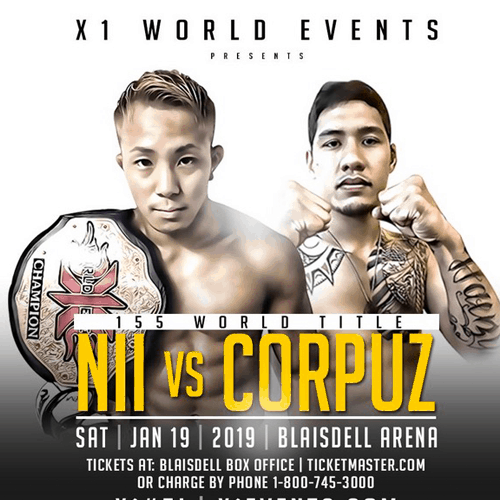 In the Main & Co-Main we’ve got Hawaii vs Japan, as Oahu’s 135lb X-1 World Champion Rodney Mondala will be fighting Japan’s Taiki Tsuchiya & Japan’s Suguru Nii the 155lb X-1 World Champion will be defending his title against Maui’s Koa Corpuz! 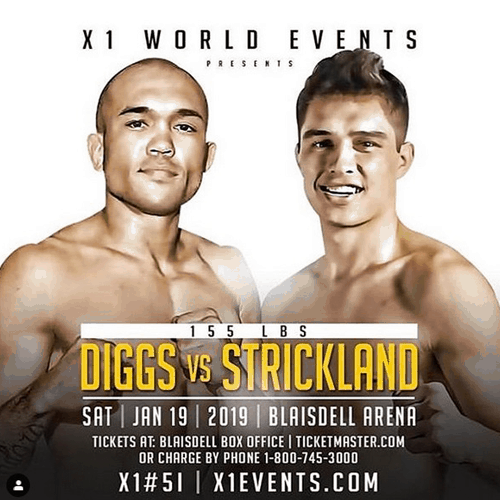 These 2 fights itself will bring the action, that’ll have everybody on their feet at the Blaisdell, but we’ve got so much more in store for you. 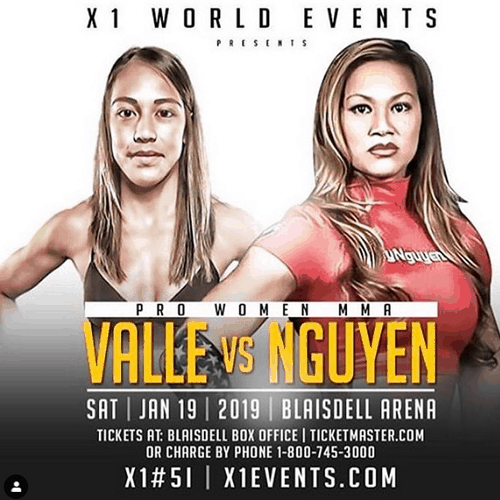 We’ve also got a Pro female MMA bout between Maui’s Tiani Valle vs Louisiana’s Andy Nguyen and don’t let their looks fool you, these 2 ladies can fight & always put on a show! This fight card is loaded with Hungry Hawaiian Fighters looking to make their mark and put themselves on the map. Ben Santiago, Johnavan Vistante, Jace Kaopua, Pololu Nakanelua, Pierre Daguzan, Thomas Mathias, Titus Strckland, Keoni Diggs, Zach Close and much more. This will be one show that you do not want to miss and that will start the year, with a BANG!!! 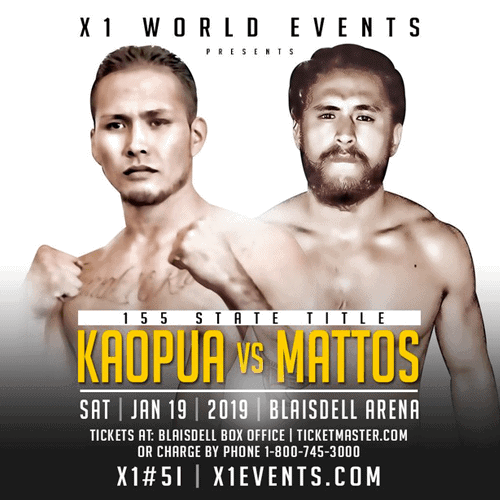 Mahalo, Aloha & we hope to see everybody there at the Blaisdell Arena on Jan.19th, in support of all your Hawaii MMA fighters.